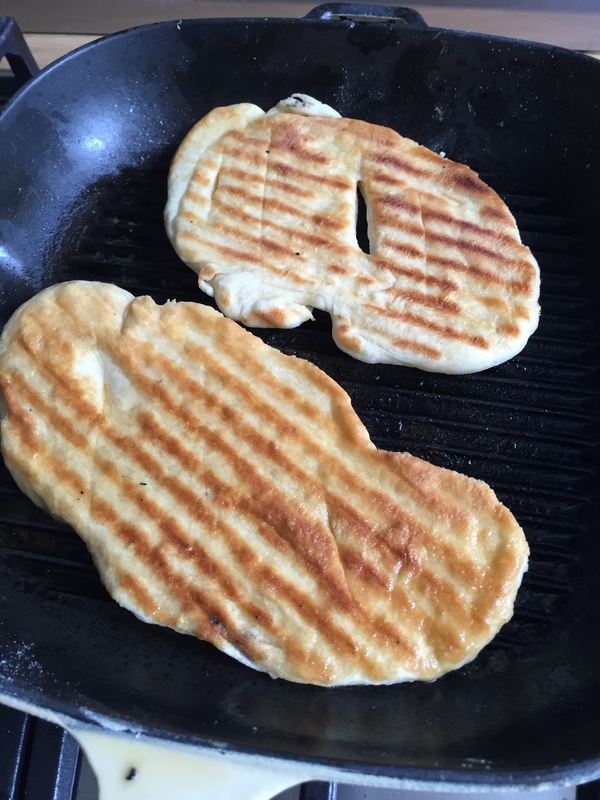 Flat bread is such fun to make. This was 350gm of self-raising flour, mixed in a bowl with 100 ml natural yoghurt and 250 ml of water and a grind or two of sea salt. Stir it all round with a wooden spoon until it forms a ball and the ingredients are mixed together. Pop on to a floured board and knead for 5 minutes, then pop back into the bowl with a little flour and put a plate over it until you are ready to use. I cut the ball into two halves and tore off golf ball size pieces which I then rolled into thin sheets. I heated my griddle pan, added a smidgin of olive oil then slid in the dough. Each took about 2 minutes a side. I topped with a little butter, fresh rosemary and garlic all melted together in a separate pan. A little grind of sea salt is good too, and some I added some grated gran pardon too. 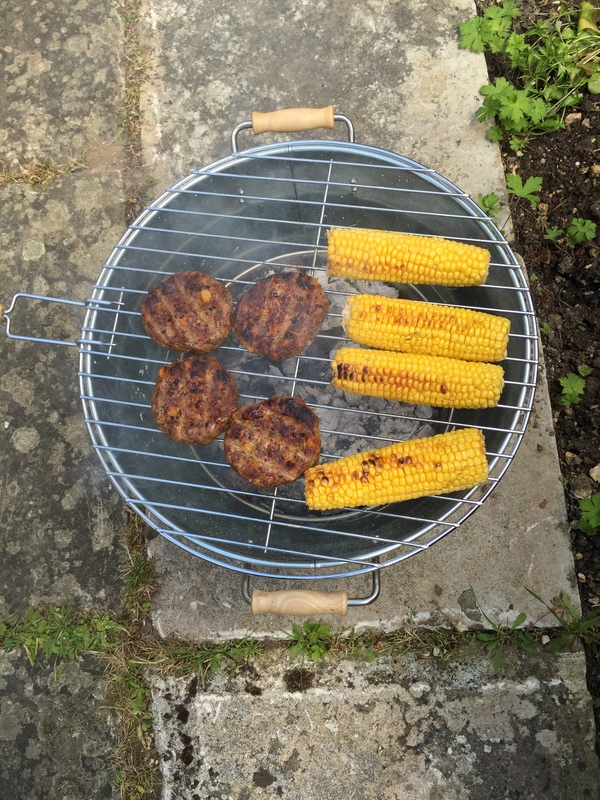 They went very well with my shop bought moroccan lamb burgers and corn cooked on my new bucket bbq. 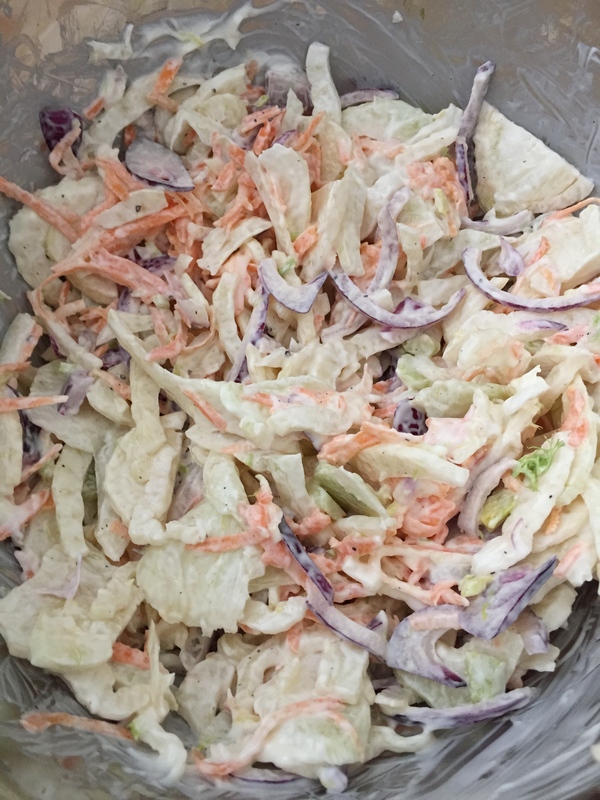 For a different take on cole slaw, I ditched the cabbage – the cole part – and used 2 fennel bulbs shredded, one carrot grated and one red onion finely chopped. Then add your mayonnaise to taste. I love it! Summer might be closer than I thought! OK, I forgot to take all the pics…. ….so you will have to take it from me that tonight’s supper was a 3 course delight. Late, mind…leaves on the line, hurricanes, fences down, hair lightly ruffled etc all of which caused us to not begin supper until 8.30pm… but all worth it – and if Annie’s other half is tuning in, it was all healthy too, James! Starter…as in the pic above…slices of fennel doused in lemon juice and olive oil wrapped in prosciutto crudo with cherry toms and fennel salami – finocchiona – with a drizzle of fig balsamic. 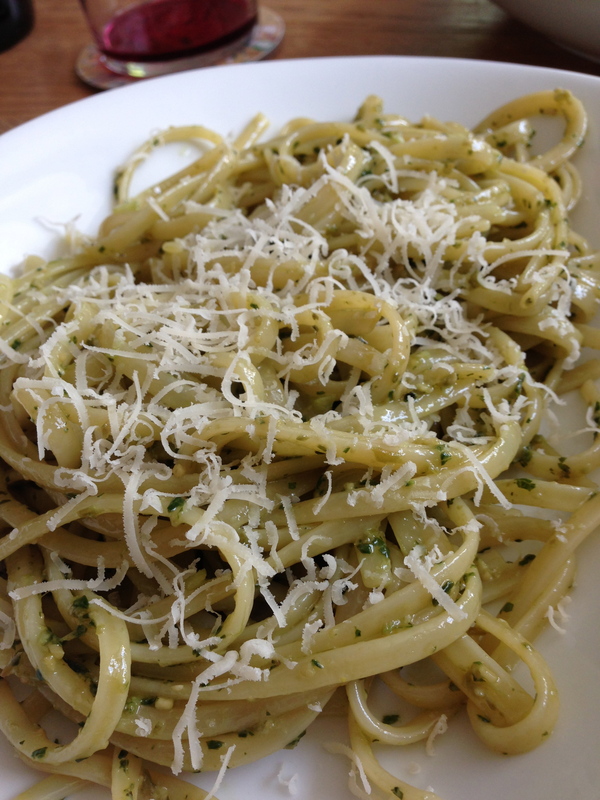 Main course – and this was very good – really very good – tagliatelle with a creamy basil sauce. 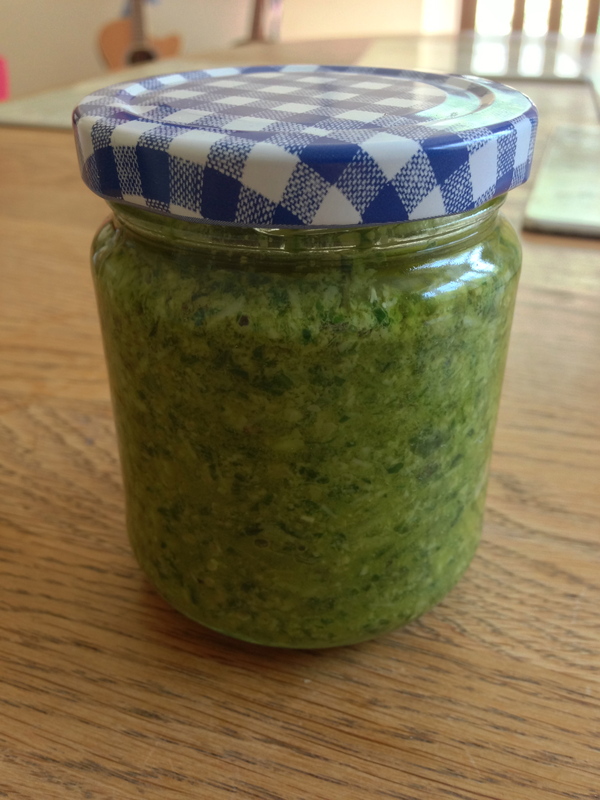 Into a blender – pop a big handful or two of basil, a clove of garlic peeled and sliced, two tablespoons of white wine vinegar, a teaspoon of dijon mustard, a teaspoon of capers and enough olive oil to give it a thick, just about runny, consistency. Blitz! Add to a bowl and add 2 or 3 dessert spoons of single cream. Cook your tagliatelle, drain it, stir in the sauce and serve – scattering over some toasted pine nuts if you will – they only take a minute or two in a dry frying pan. And of course we all grated over some parmesan. 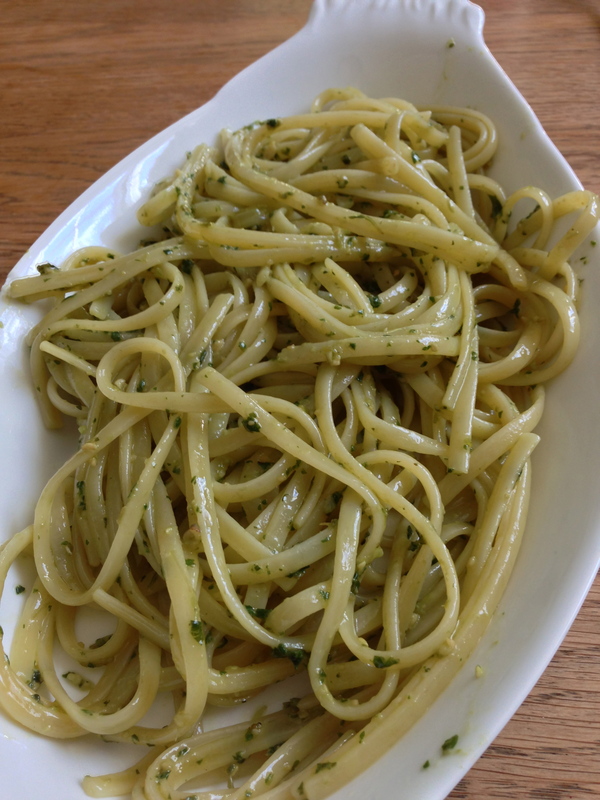 I actually prefer this to my normal straight pesto sauce. It was simply unctuous. OK – to finish off, I sliced a fabulous crisp Italian pear and placed a large piece on a small saucer to which I added a thin slice of creamy gorgonzola. This was all washed down with an amazing Malbec from Argentina called Alamos – purchased from those lovely people in Majestic in Winchester. Possibly a contributory factor as to why I forgot to photo the main course and the dessert! 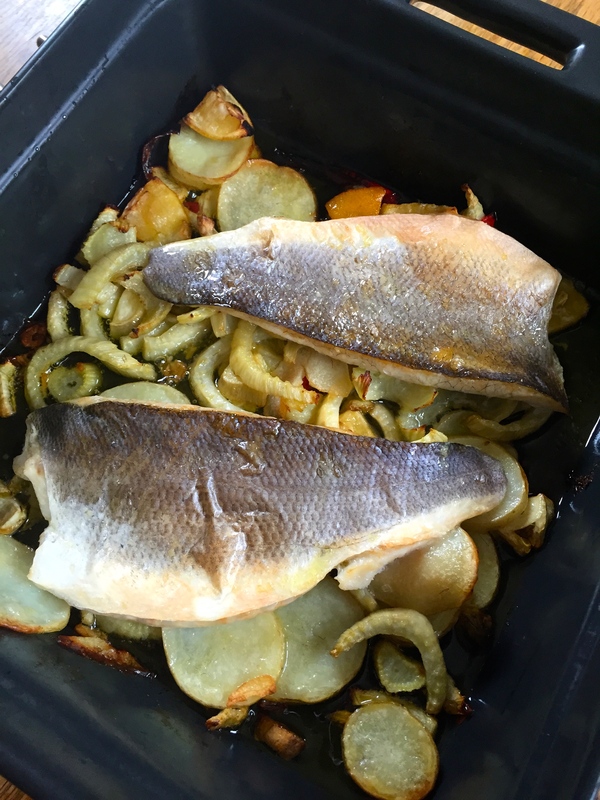 Hey – but it was all fab and each of the 3 dishes complimented each other marvellously. Oh…and in the photo I was not just the only one drinking- the others just hadn’t arrived at the table yet! Right – nearly 10.15 pm. 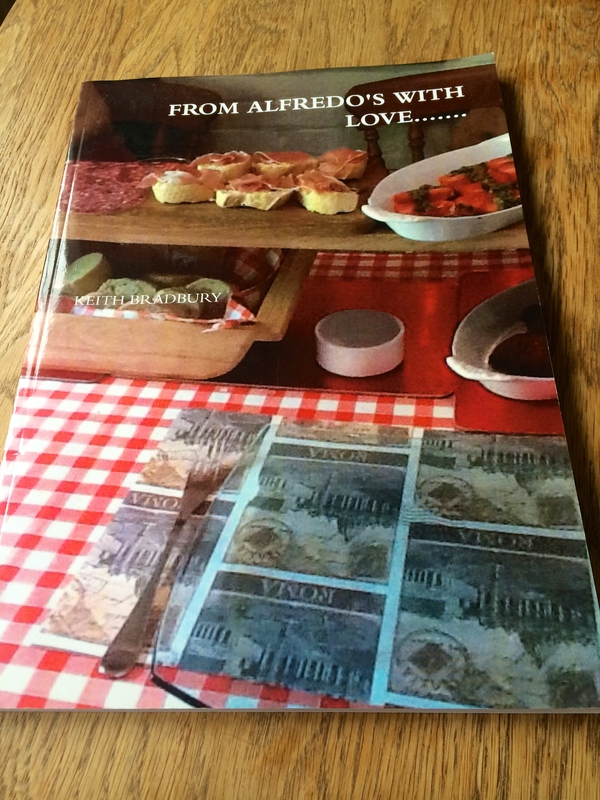 Time to laze by the woodburner and dream about tomorrow’s supper….